Despite upbeat expectations, the second summit between U.S. President Trump and DPRK leader Kim Jong Un ended abruptly, without an agreement. Here are some international reactions to the summit's outcome. In Hanoi, DPRK Foreign Minister Ri presented an unexpected midnight news conference following the Trump-Kim summit. The FM disputed Trump’s explanation for collapse of summit, saying the DPRK asked "for only partial U.S. sanctions relief." Talks between U.S. President Donald Trump and DPRK leader Kim Jong Un ended abruptly and without a deal, with a breakdown over U.S. sanctions. DPRK leader Kim Jong Un and U.S. President Donald Trump conclude their Summit in Vietnam. U.S. President Donald Trump and Democratic People's Republic of Korea (DPRK) leader Kim Jong Un have begun the second and final day of their Hanoi summit. Watch how U.S. President Donald Trump and Democratic Republic of Korea leader Kim Jong Un spoke about each other over the years. Between secretiveness and 'official' legend, it is hard to determine what is real about the DPRK's ruling family. View our family tree and read more about its most intriguing members. The second summit between DPRK leader Kim Jung Un and US President Donald Trump kicked off with high hopes. What’s next for the future of the Korean Peninsula? As Hanoi’s landscape shows, Vietnam is still restoring balance - between reminders of war and monuments to peace. Outreach and threats, both "productive" and "gangster-like." After long journeys to Vietnam, U.S. President Donald Trump and DPRK leader Kim Jong Un are in place for their second summit Wednesday to address perhaps the world's biggest security challenge: Kim's pursuit of a nuclear program that stands on the verge of viably threatening targets around the planet. Kim-Trump Summit: Can Vietnam's economy serve as a model for Pyongyang? “There are pros and cons to everything of course, but opening up gives you options, and options are never bad." Experts believe the summit's success or failure will hinge on just two people, with reputations larger than life: Donald Trump and Kim Jong Un. This timeline shows the Democratic People’s Republic of Korea's, (DPRK) significant nuclear developments and nuclear talks from 2017 to present. The Heat: What's next after Trump-Kim Summit? President Donald Trump and DPRK leader Kim Jong Un signed a joint statement in Singapore, committing to security guarantees and working together to build a better relationship between the United States and DPRK. Read the Joint Statement of President Donald J. Trump of the United States of America and Chairman Kim Jong Un of the Democratic People’s Republic of Korea at the Singapore Summit. U.S. President Donald Trump hailed his historic meeting with Democratic People's Republic of Korea leader Kim Jong Un in Singapore on Tuesday, telling a news conference that the parties are at "the beginning of an arduous process, our eyes are wide open, but peace is always worth the effort." President Donald Trump and DPRK leader Kim Jong Un converged on this island city-state Sunday ahead of one of the most unusual and highly anticipated summits in recent world history. This timeline shows key events in the Korean Peninsula from Trump's inauguration to now. 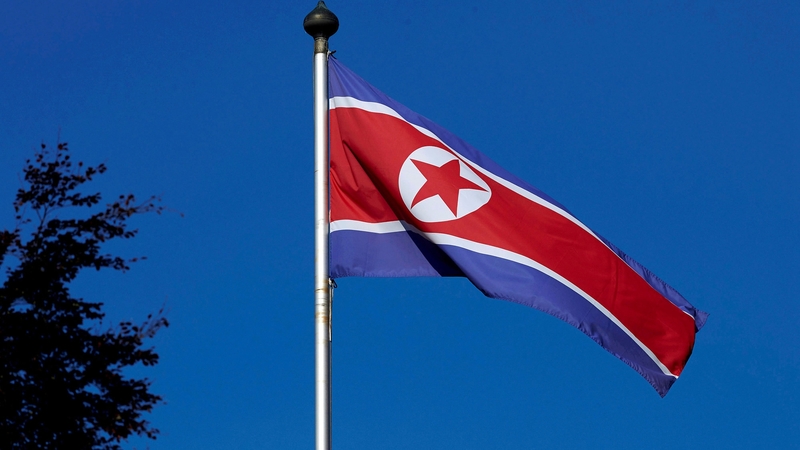 U.S. President Trump has announced via Twitter that the summit between himself and DPRK leader Kim Jong Un will take place June 12 in the island nation of Singapore. The trio, who had been detained in the Democratic People's Republic of Korea (DPRK), returned to the U.S. with Secretary of State Mike Pompeo, Trump tweeted on Wednesday. The ROK President Moon Jae-in and the leader of the DPRK Kim Jong Un signed the "Panmunjom Declaration" on Friday and vowed to put an end to the Korean War. Despite a 65 year armistice, the two nations have technically been at war since 1950. Republic of Korea (ROK) President Moon Jae-in and the leader of the Democratic People's Republic of Korea (DPRK) Kim Jong Un met in a historic summit in Panmunjom. CGTN will keep you up-to-date with the latest coming out of the DMZ, as we closely watch what unfolds in the Panmunjom Peace House. Bold pledges to pursue permanent peace, but a vague agreement on disarmament of the Korean Peninsula came out of the Inter-Korean Summit. The two Korean leaders said they would work with China and the U.S. this year to officially end the Korean War. VIDEO: Inter-Korean summits: Who, when and where? China welcomes the Democratic People's Republic of Korea’s (DPRK) suspension of its nuclear and missile tests, Chinese Foreign Ministry Spokesperson Lu Kang said on Saturday. It's a historic summit between two countries technically at war. Leaders of the two Koreas will meet this week in the Demilitarized Zone, for the first inter-Korean summit in more than 10 years. But while there are signs of peace on the horizon, the DMZ is a painful reminder of past failures. Will Kim Jong-un of the Democratic People’s Republic of Korea give up his new nuclear arsenal? What would South Korea’s President Moon Jae-in have to sacrifice for that? During the visit, Xi held talks with Kim at the Great Hall of the People in Beijing.